Washington, D.C. | www.adc.org | March 2, 2018 | This Monday, March 5, the American-Arab Anti-Discrimination Committee (ADC) urges all its members to join the National Call-In Day to stand up for our right to free speech and defeat the Israel Anti-Boycott Act. Lobbyists from the American Israel Public Affairs Committee (AIPAC) are descending on Capitol Hill on March 6 to pressure Congress to criminalize boycott campaigns against Israel and its illegal settlements. If the Israel Anti-Boycott Act becomes law, every American who calls on our government or a company to divest from illegal settlements could face a civil penalty fine of $250,000 if not criminal prosecution that could result in a $1 million fine and 20-years imprisonment. This is an outrageous attempt to subvert our constitution and criminalize support for Palestinian human rights. If AIPAC wins this battle, it will embolden them to pursue other far-right agendas, such as including Israel in the Visa Waiver program even though it continues to arbitrarily deny entry to Arab-Americans trying to visit historic Palestine. The Israel Anti-Boycott Act has 51 cosponsors in the Senate (S. 720) and 270 cosponsors in the House of Representatives (H.R. 1697). That is enough to pass in both chambers. 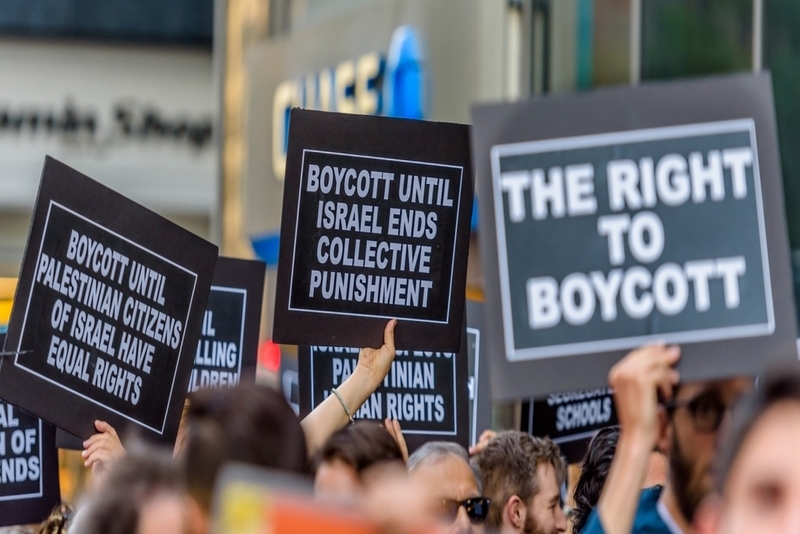 ADC urges you to call your Senators with the simple message: Vote No on the Israel Anti-Boycott Act, S. 720, and uphold our constitutionally-protected free speech rights. ADC urges you to call your Representative with the simple message: Vote No on the Israel Anti-Boycott Act, H.R. 1697, and uphold our constitutionally-protected free speech rights. Please forward this message to every patriot who believes that the First Amendment to the U.S. Constitution should not be cut to appease Israeli occupation. Call-In this Monday and make your voice heard!